AVI Infosys presents a complete range of biometric time attendance systems and access control products designed exclusively to enhance security and improve performance. Our various product lines feature the latest technologies, superior levels of durability and flawless operation backed by our award-winning technical support and customer service guarantee. 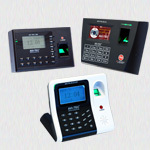 It features an elegant POE design and brings to you unmatched durability and reliability. AVI Infosys presents a complete range of biometric AVI-TEC Time and Attendance Systems with award-winning technical support and customer service guarantee. Explore more. The Time Attendance system uses an advanced algorithm for performance reliability. 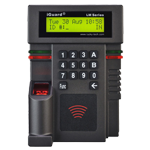 AVI INFOSYS LLC is a leading certified iGuard product Supplier, biometric Security systems Provider Company located in Dubai, United Arab Emirates. Explore more.